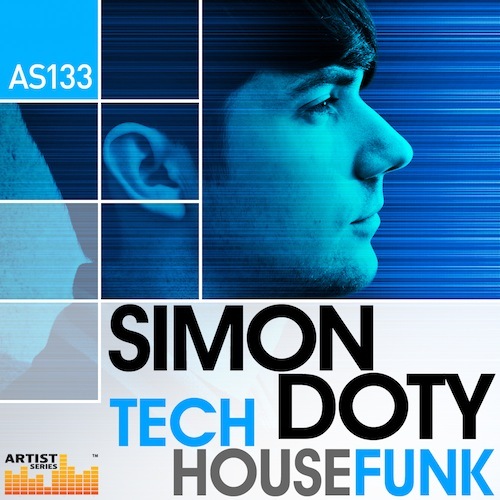 Simon Doty joins Loopmasters delivering an incredible Tech House sample collection that features funky melodic hooks, swinging top loops and pulsating bass, primed for the main room. For this royalty free collection of Tech House, Simon has applied the same ethos to the sounds and loops found in Tech House Funk, as he would do to a DJ set, mixing up raw energetic House and Techno elements from different eras to form an exciting hybrid of fresh but classic sounding Tech House with plenty of booty shaking Funk. 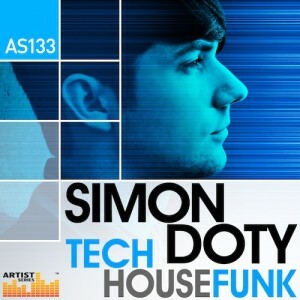 In two short years Simon Doty has become one of the most prominent tech house producers in the world. His signature sound infuses elements of house and techno to create powerful, high energy grooves. His tracks have been played and supported by the biggest names around the globe including Carl Cox, Dubfire, Richie Hawtin, Pete Tong, Umek, Mark Knight, Roger Sanchez, Pleasurekraft, Todd Terry, and many more. In Detail expect to find 855Mb of 24Bit 44.1Khz loops and sounds including 26 Bass Loops, 11 Clap Loops, 14 Groove Filtered Loops, 43 Music Loops, 12 Snare Rolls, 37 Top Loops, 17 Bass Stabs, 9 Multi Sampled Bass Instruments, 17 synth Hits, 18 SFX Shots, 101 Drum Sounds, 150 Rex2 Files, 60 Soft Sampler Patches, Kontakt, Halion, Exs24, Nnxt and Sfz Formats. The collection is also available in Apple Loops, Reason Refill and Ableton Live Pack to purchase separately. 2014 has already been huge for Simon, his remix of David Penn’s hit “A Different Story” on Toolroom Records reached the top 25 on the Beatport charts. Simon’s follow up track with Mike Vale called “Revelation” created massive buzz and become a Beatport top ten hit.